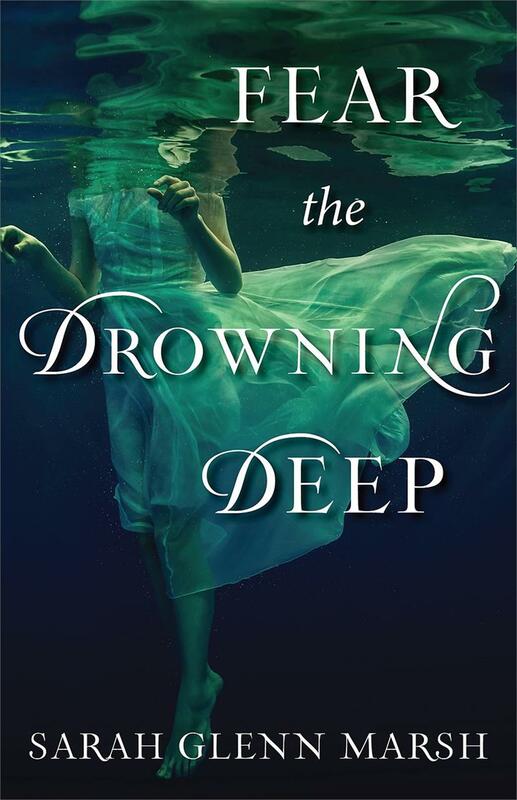 Fear the Drowning Deep was one of my most anticipated debut novels of 2016, I was able to participate in a chat with the author Sarah Glenn Marsh, where I discovered what this book was about, and since then I was anticipating its release. So, you can imagine my excitement when I found out I was chosen to be a part of the blog tour! I could believe that I was gonna have the chance to read this before release date, that the wait for this book was over. I read this immediately when I received the eARC and I can happily say that I was not disappointed. Fear the drowning deep was a captivating tale with an atmosphere that was mysterious and spooky and that made the story feel incredibly unique. The mythological aspect and the traditions of the Isle of Man also made this book fascinating and they gave the story a magical feeling that’s not like anything I have read before. The writing style went perfectly with the story; the descriptions were written particularly well, and they were never boring or pointless, they helped create that eerie and unsettling atmosphere, which was one of the strongest parts of this book. The characters were interesting, and by the time I finished reading the book, I was hoping that it was longer, so I could know more about them. I loved the fact that family played such a key role in the book; I particularly enjoyed the relationships Bridey had with each of her sisters. I love books with strong relationship between female characters and I love the fact that lately there are more authors, like Sarah Glenn Marsh, willing to write about that kind of relationships. Going back to the characters of the book, I was really intrigued by Morag; she was a very mysterious and complex character, and I was actually very surprised when the truth about her story was revealed. My only little issue with this book was that the romance was not entirely believable; actually, it was a bit instalovey. Even if the romantic relationship was not the strongest part of the story, it didn’t take that much away from it either; even when it was a very prominent part of the book. I think it didn’t take away from the story, because at the end, even if it started out of nowhere, it developed and there were a lot of sweet moments. The finale confrontation was not very dramatic, but I think it went well with the whole style of the book. Also, one of my favorite parts was the epilogue; I loved the fact that the book maintained the mysterious tone until the end.